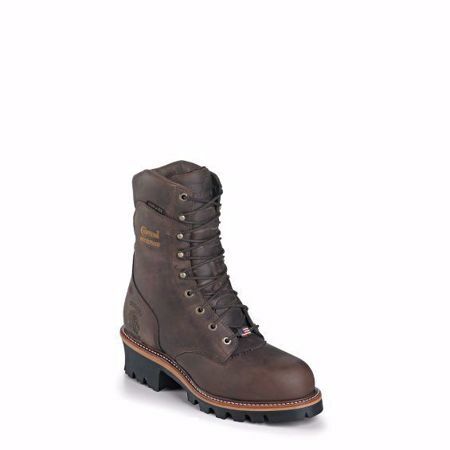 The Chippewa 9" Bay Apache Super Logger 25408 is a durable and classic style of Chippewa Logger Work Boots. The boot is made in a 9 inch height, and built with the traditional Goodyear Leather Welt Construction. The boot is not only sturdy, but will keep you dry and warm with a waterproof bootie construction and 400 grams of Thinsulate insulation inside. Built atop a Vibram Tacoma outsole, this USA handcrafted work boot is a perfect choice for any work site.